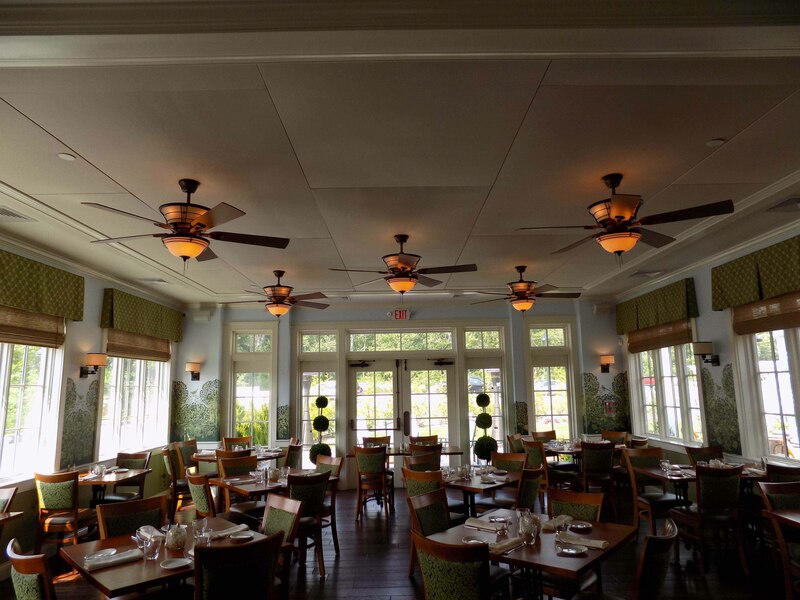 The Aviary is a beautiful space, washed in hues of soft blues, greens, and whites highlighted by farmhouse-chic details. After a few months though, the owners recognized that the acoustics in one of their signature rooms – a light and airy space flanked on three sides by oversized windows and glass French doors opening to a sprawling country landscape – were detracting from the ambiance. 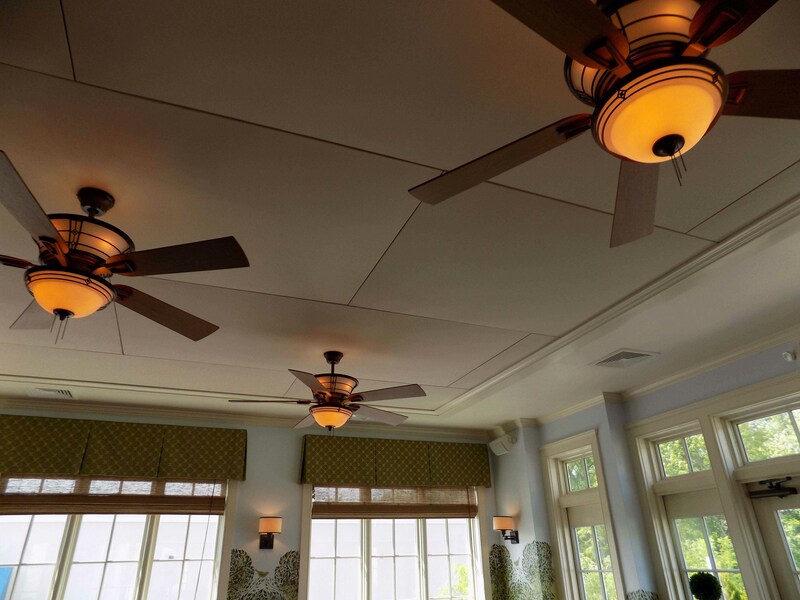 But, as there was nowhere to place any sound dampening materials or decorations, they could not think of a viable solution. 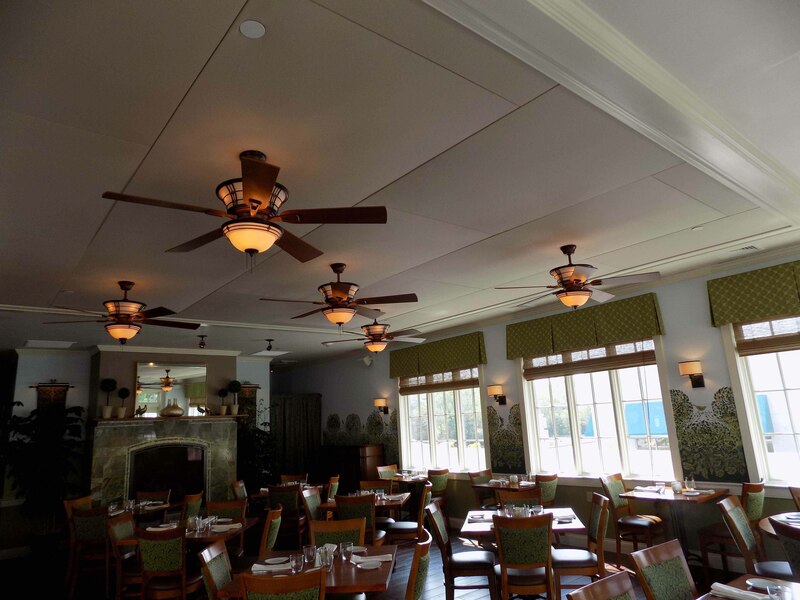 After all, the only solid wall in the room features a gorgeous stone fireplace and the tray ceiling is peppered with five ceiling fans and light fixtures. 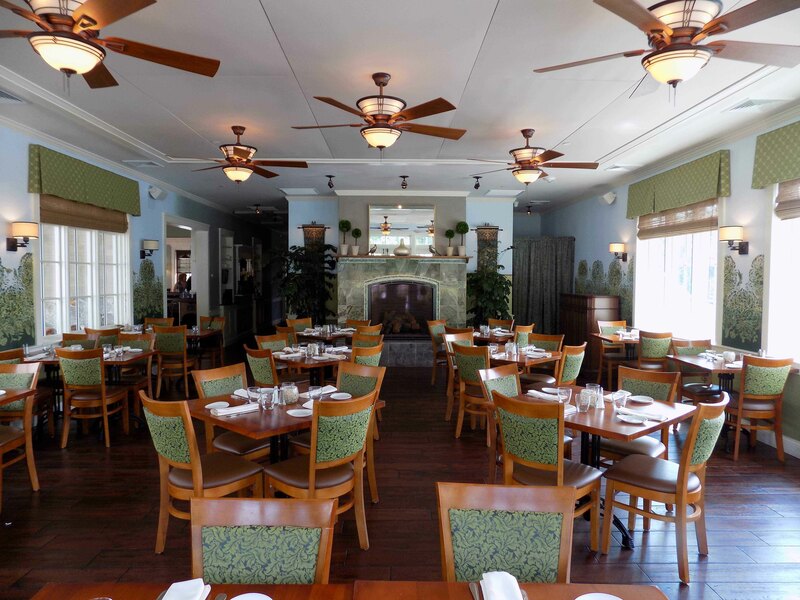 Additionally, the rich hardwood floors and tables remain bare in keeping with the motif. 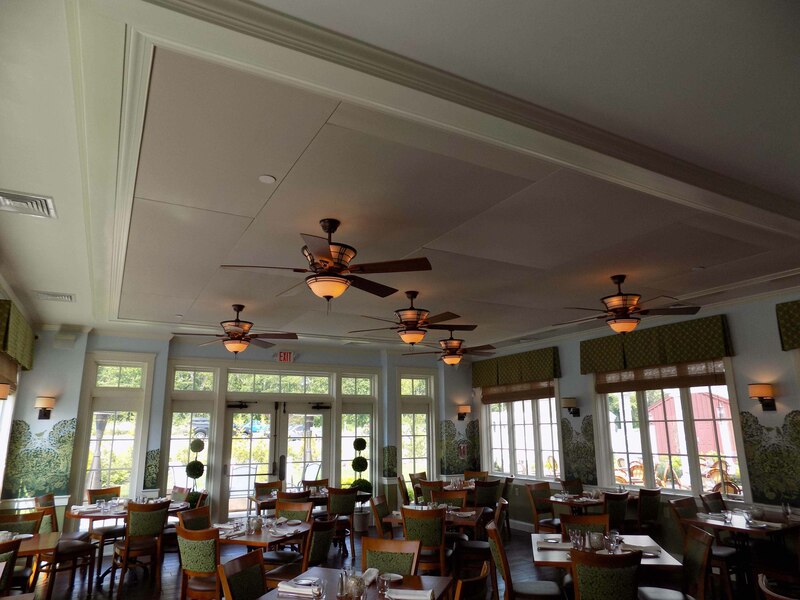 To accommodate the space, New England Soundproofing fashioned custom REVRB sound absorption panels match the ceiling color to blanket the inside of the tray ceiling, with openings tailored to fit around each light fixture. 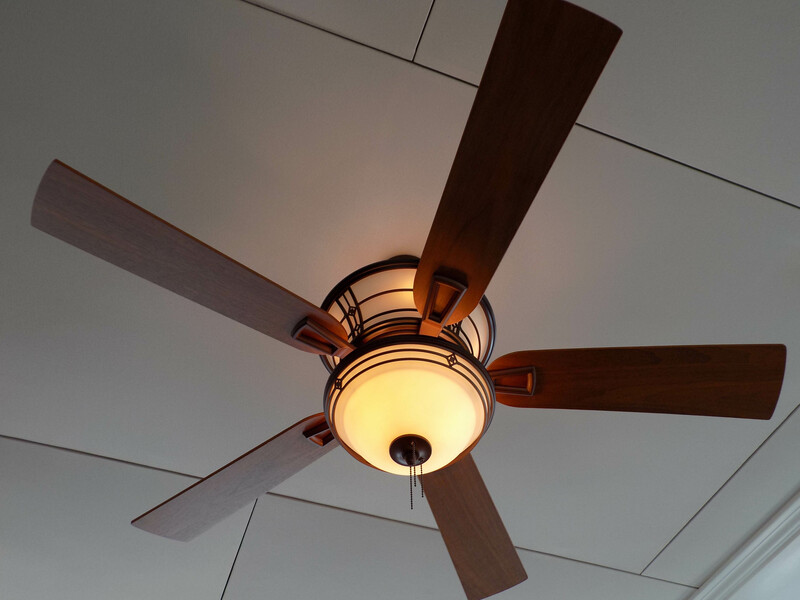 “The hardest part of this project is that there was no wall space to put the panels,” says New England Soundproofing’s consultant Joe Drago, “we had to use the ceiling to come up with a nice design, but also completely customize the panels so that the sprinkler and ceiling fans can be mounted onto the panels!” The outside edging of the panels was finished with delicate trim detail for a completely individualized application. 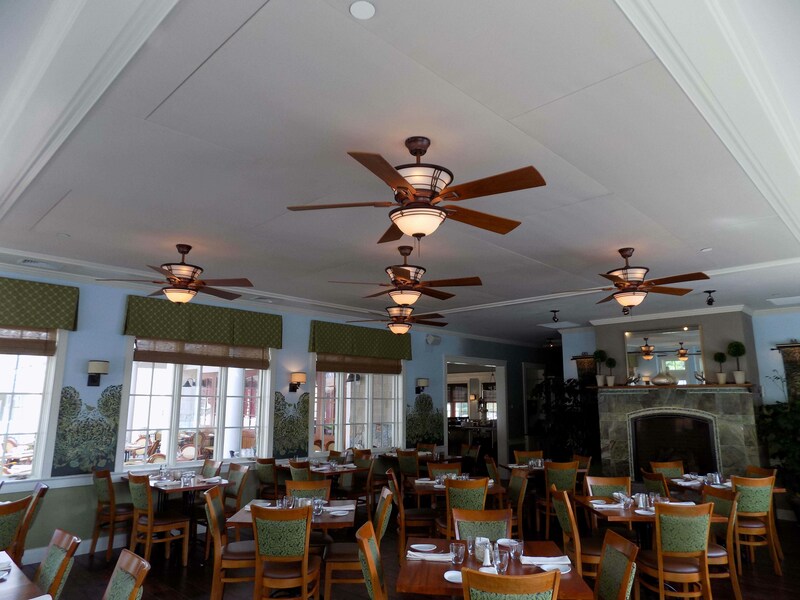 The panels did not interfere with the fan blades, light fixtures, or the overall look of the restaurant. 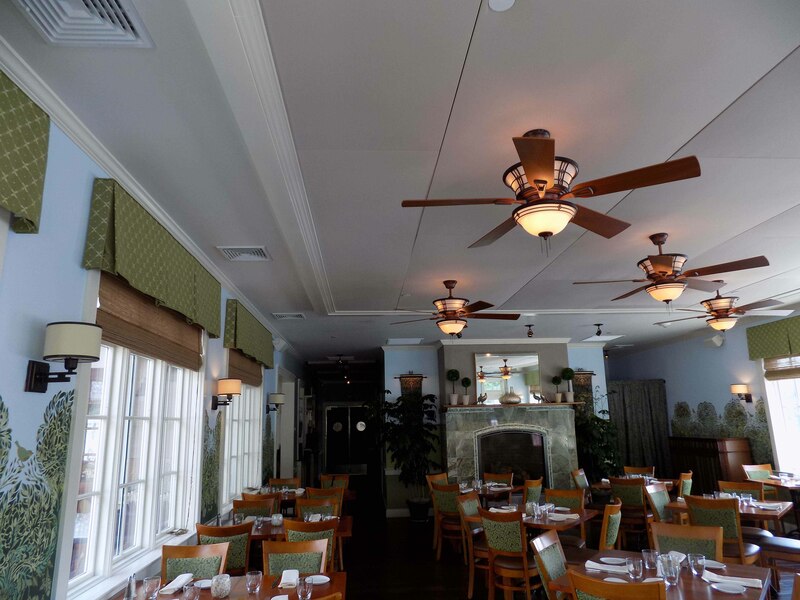 Now management, employees, and patrons alike can experience the aesthetics as they were intended – without the distracting and uncomfortable background din. 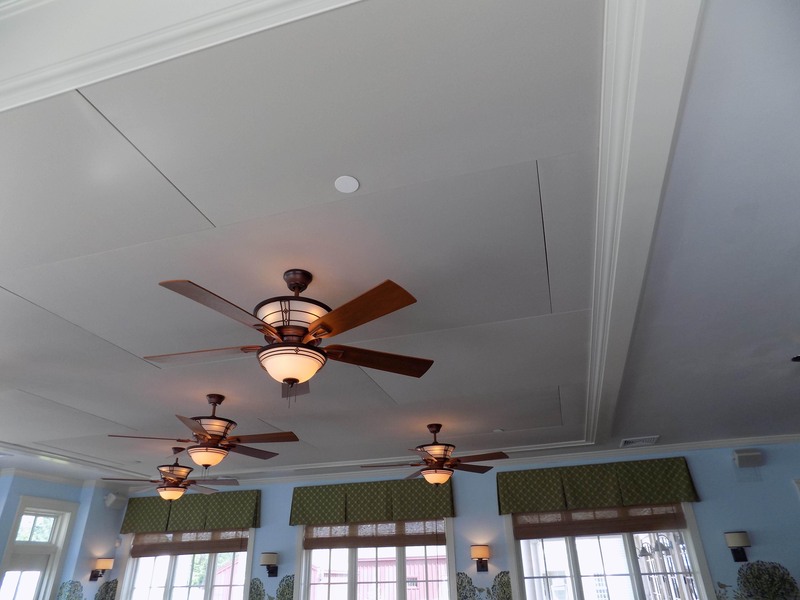 New England Soundproofing came up with a custom design for the panels so that lights, sprinklers, fans, outlets, and anything else can be mounted onto the panel, allowing for us to expand the locations that New England Soundproofing can mount their REVRB acoustic panels!